10 Laurel Lane has been added to your favorites! 10 Laurel Lane has been removed from your favorites! 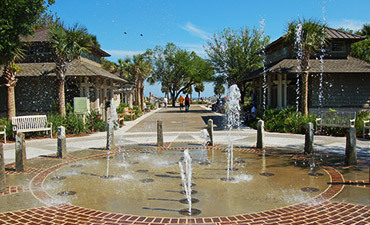 HILTON HEAD ISLAND. 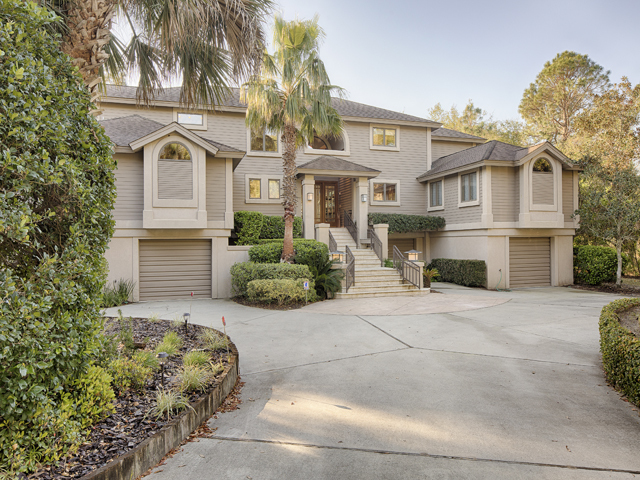 Newly furnished and updated and located on one of the best beaches on Hilton Head Island, this home is the best of both worlds. While the home gives a true sense and feel of being on an Island, its location is central to the restaurants and commerce of Forest Beach and also provides great convenience being right next to the world renowned Sea Pines Plantation. Living Areas The entry leads you up a half-flight of stairs and your vacation begins when you see the expansive blue skies and glistening ocean water. The state of the art kitchen connects with the main living area to provide a great place to gather and watch the 60 inch Sharp Aquos TV. The sliding glass doors lead to ample deck space and an elevated outdoor living/entertainment area with a flat screen TV and dining for 8. This area overlooks the large salt water pool and spa with stone decking and plenty of room for sunbathing. There is also a large bathroom that can be easily accessible outside with a stand-up Hansgrohe steam shower and laundry room. The eat-in kitchen and main living area all connect to the decking surrounding the pool to provide an open entertainment area. Behind the kitchen is another cozy den area with another 60 inch Sharp Aqous TV to relax after a full day at the beach. For the kids, there is also a playroom designed for both comfort and sound. Relax and watch a movie on the 70 inch Sharp Aquos TV with surround sound. Bedrooms: The spacious 1st master bedroom is located on the second/top floor providing great separation and has its own sitting room and desk overlooking the Atlantic. It is furnished with a King bed, a 55 inch flat screen TV, a Hansgrohe steam shower, double vanity and sunken tub. 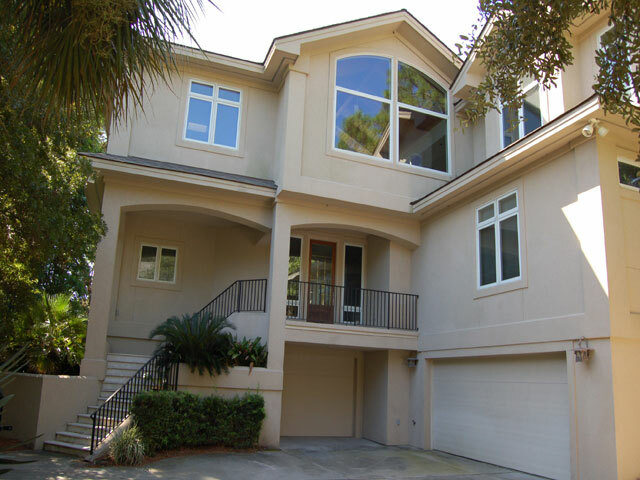 There is also a large spacious private deck with some of the best views on Hilton Head Island. The 2nd master bedroom is on the first/main floor and is furnished with a King bed, a sunken tub, full shower, double vanity, direct TV and expansive views of the ocean. The 3rd bedroom/master offers great privacy, vaulted ceiling, 40 inch flat screen TV, shower, and double vanity. The fourth and fifth bedrooms have their own full private bathrooms, flat screen TVs and both have expansive ocean views. (One of the bedrooms has 2 twin beds and the other bedroom has a queen bed). Beautiful oceanfront home, sure to be one of your favorites! *Pool and Jacuzzi can be heated for an additional cost.
" 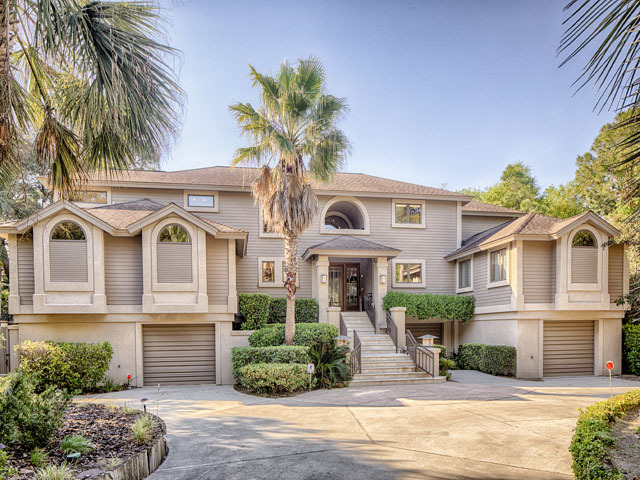 Hometown: Frisco Arrived: 7/7/2018 Departing: 7/14/2018 Title: July 2018 Stay Value: 5 Experience: 5 Property: 5 Overall: 5.00 We love HILTON HEAD and we LOVE this house! Having moved from Daytona Beach to Texas 7 yrs ago we really miss the beach. We used to vacation every year in HILTON HEAD when our kids were younger and now it’s fun to go back and have my family from Daytona Beach join us there. This house works perfectly for our large family and we are already looking forward to our 4th visit next summer! ?? "